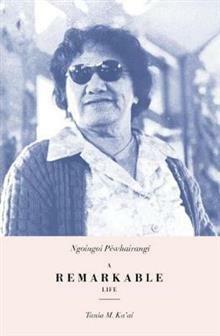 "Ngoingoi Pwhairangi was a highly respected leader from Te Whnau-a-Ruataupare at Tokomaru Bay who was passionate about the revitalisation and flourishing of the Mori world. She actively introduced initiatives in education, language and the arts and was a Mori leader of note, rece... read full description below. "Ngoingoi Pwhairangi was a highly respected leader from Te Whnau-a-Ruataupare at Tokomaru Bay who was passionate about the revitalisation and flourishing of the Mori world. She actively introduced initiatives in education, language and the arts and was a Mori leader of note, receiving a QSM for her services to Mori. She is also widely remembered for her beautiful song compositions, which are performed today. This biography describes her considerable achievements across many areas, her work for others, her humility and perseverance, and it brings her to life through stories from her peers, former students and family"--Publisher information. 'A fantastic piece of social history' - Paul Diamond for Radio New Zealand, 28 July 2008. Professor Tania M. Ka'ai (Te Whanau-a-Ruataupare, Ngati Porou, Ngati Wheke, Ngai Tahu, Hawaii) is Director of Te Ipukarea - The National Maori Language Institute and Director of Te Whare o Rongomaurikura - The International Centre for Language Revitalisation at Te Ara Poutama, Faculty of Maori and Indigenous Development, Auckland University of Technology. Throughout her academic career and in her personal and community life, Professor Ka'ai has had on ongoing focus on te reo Maori.